Lorain - Elaine "Cookie" Sullivan (nee Kerecz), 79, passed away on Sunday, March 24, 2019 at Mercy Regional Medical Center in Lorain, OH. She was born in Lorain, OH on July 17, 1939. Elaine graduated from Lorain High School, Class of 1957. She married her husband Reginald Sullivan on October 30, 1982. Cookie was a member of Nativity B.V.M. Parish in Lorain where she worked as bookkeeper for 7 years. She also worked at Continental as a ticket agent and Mercy Regional Medical Center in communications. 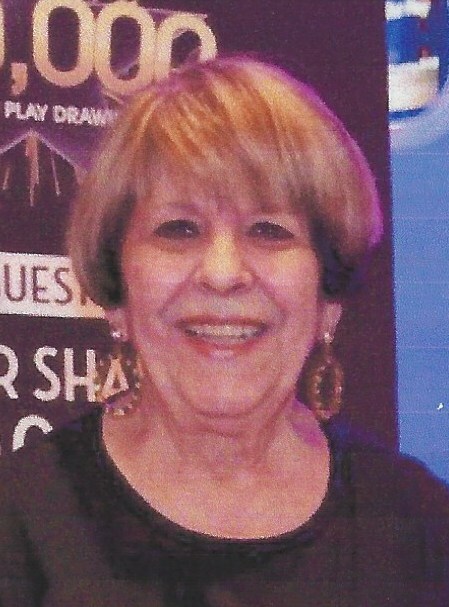 Cookie enjoyed casino trips with family and friends and she cherished her grandchildren. She is survived by her beloved husband, Reginald Sullivan; sons, Craig and Keith Kunch; 3 grandchildren; brother, Robert Kerecz; and sister, Kitty Hernandez. She was preceded in death by her parents, Frank and Mary (nee Mislanovich) Kerecz. The family will receive friends at Reidy-Scanlan-Giovannazzo Funeral Home & Cremation Services on Wednesday, March 27, 2019 from 3:00 PM until the time of closing prayers at 7:00 PM. A Memorial Mass will be held at 11:30 AM on Thursday, March 28, 2019 at Nativity B.V.M. Parish, 418 West 15th Street, Lorain, OH, Fr. Robert J. Glepko, Pastor, officiating (meet at Church on Thursday). Online condolences and gifts of sympathy be shared with the family by using www.rsgfuneralhome.com.